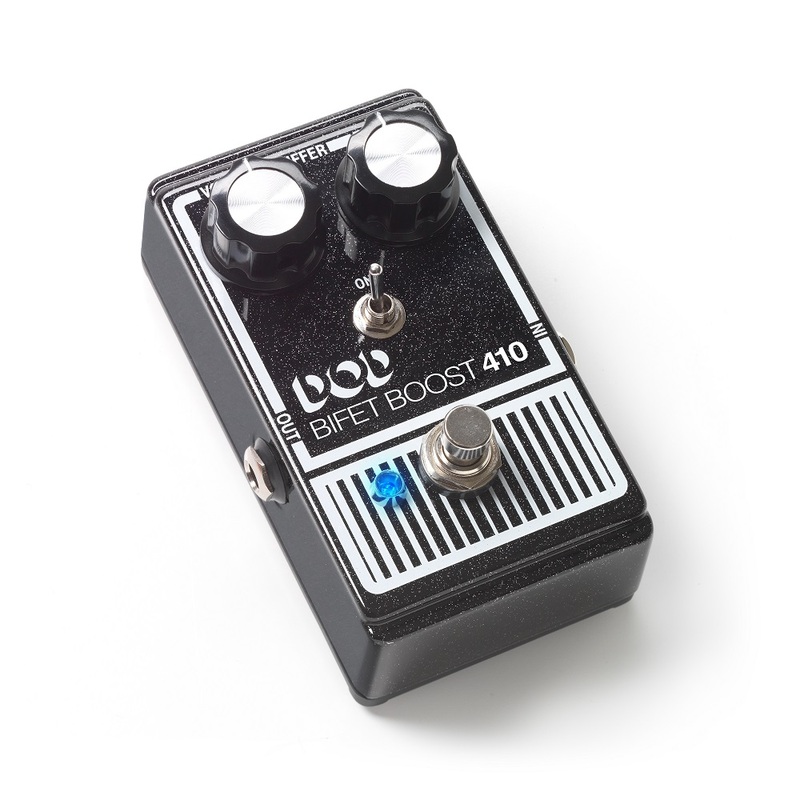 Sparkly or darkly, the DOD Bifet Boost 410 has the tone and volume to boost your solos into orbit. 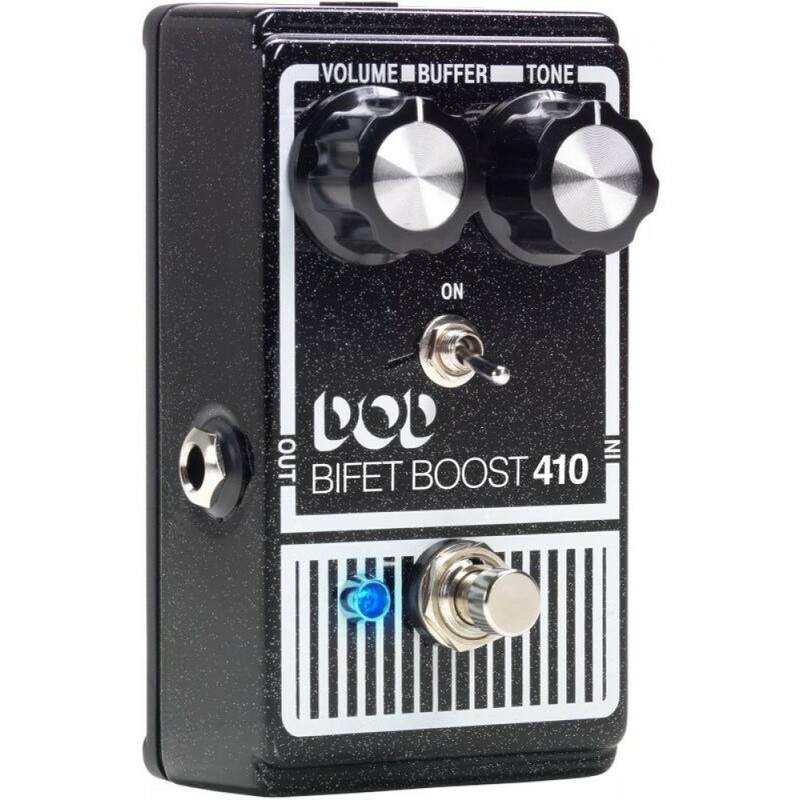 New for the DOD Bifet Boost 410, is a selectable Buffer On/Off toggle switch. 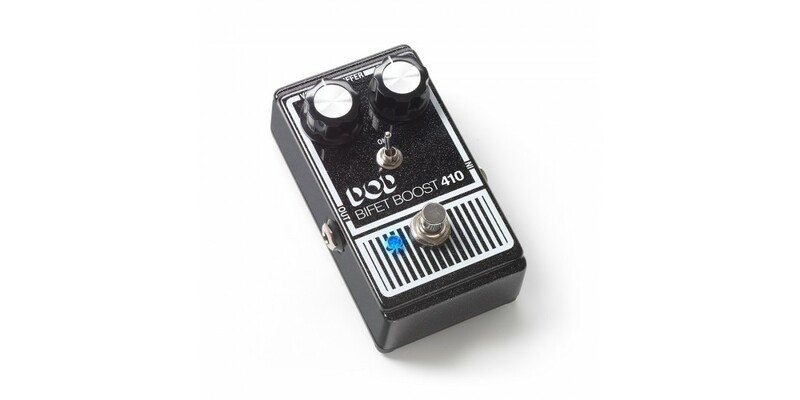 This switch affects the bypass state of the undefined Bifet Boost and gives it the flexibility to be used anywhere in your FX chain. 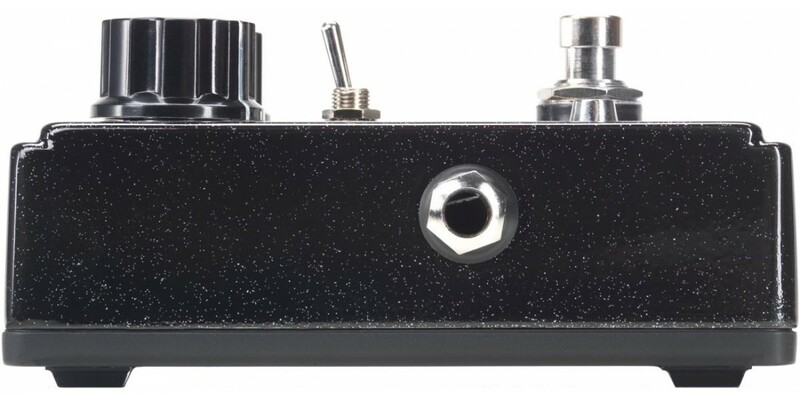 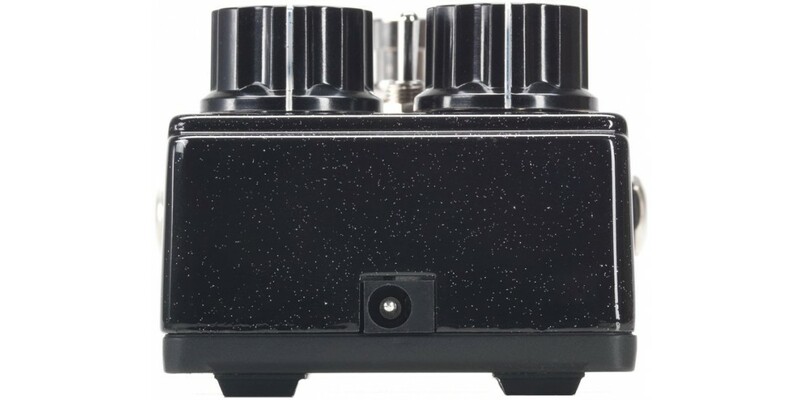 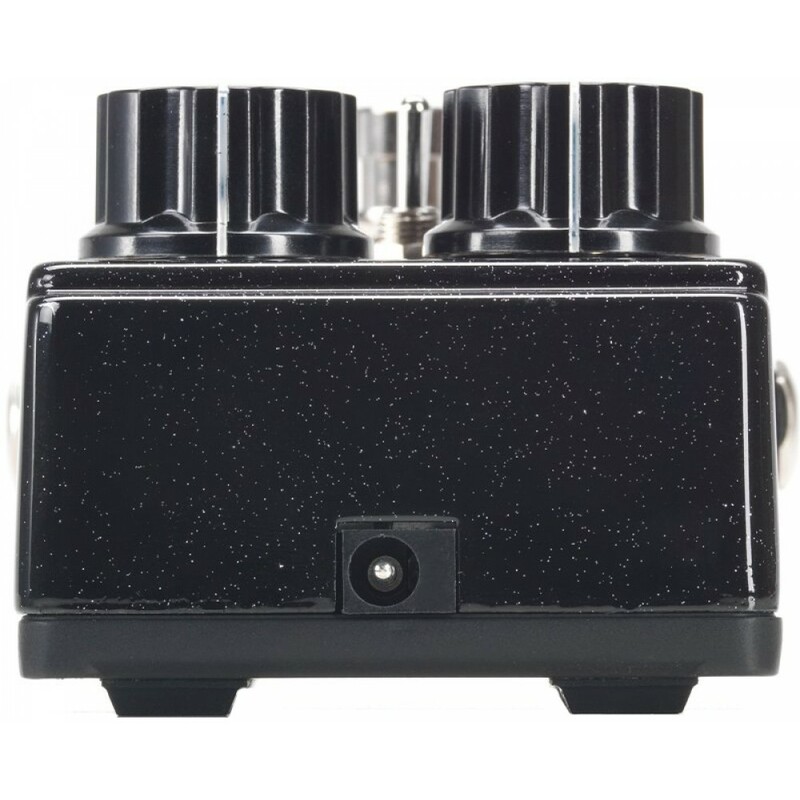 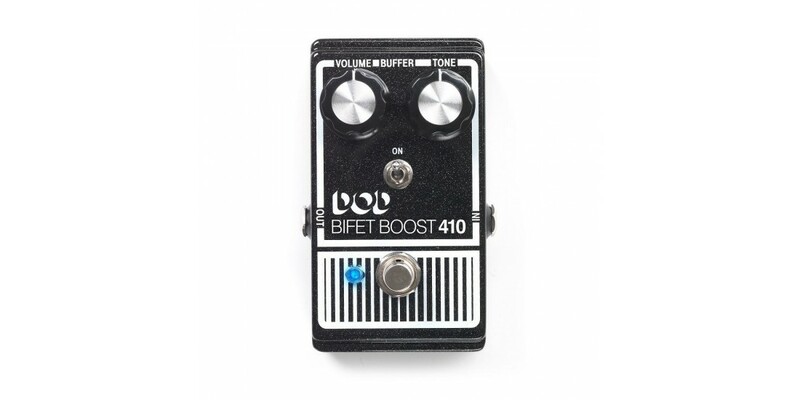 Use it first in the chain with the buffer off so that the buffer won’t affect fuzz pedals, or put it last in the chain with the buffer on to counter the signal loss of today’s larger packed pedalboards. 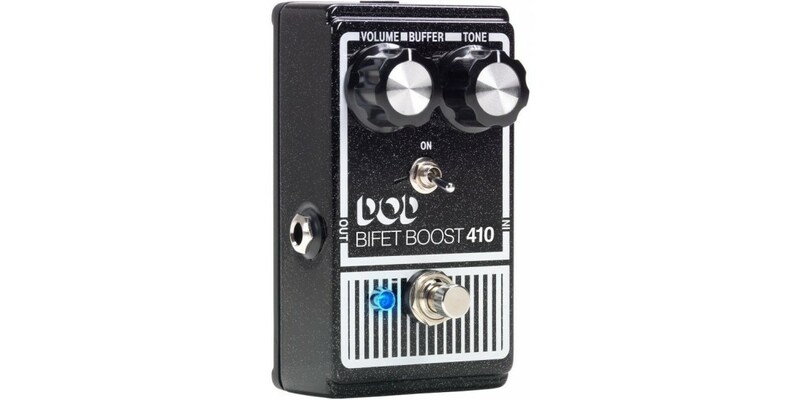 Like its predecessor, the DOD Bifet Boost 410 offers independent Volume and Tone controls. 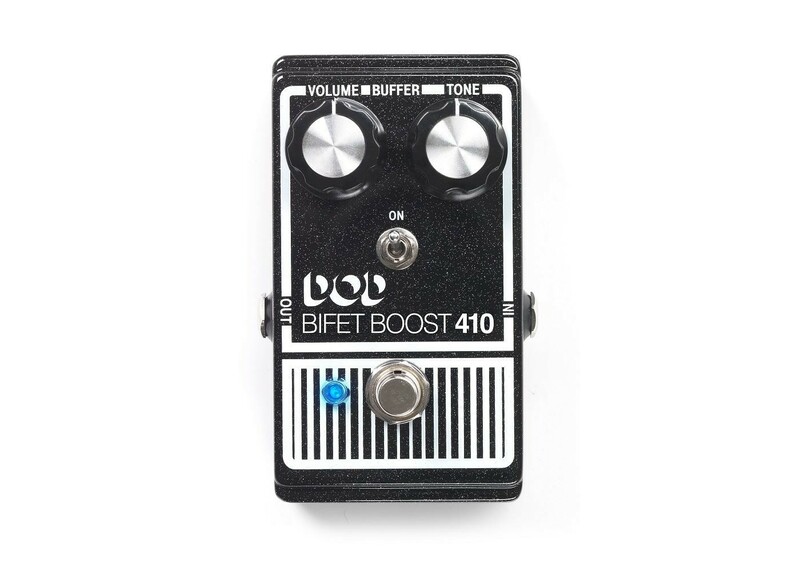 Volume controls the amount of boost, and Tone allows for either bass or treble boost. 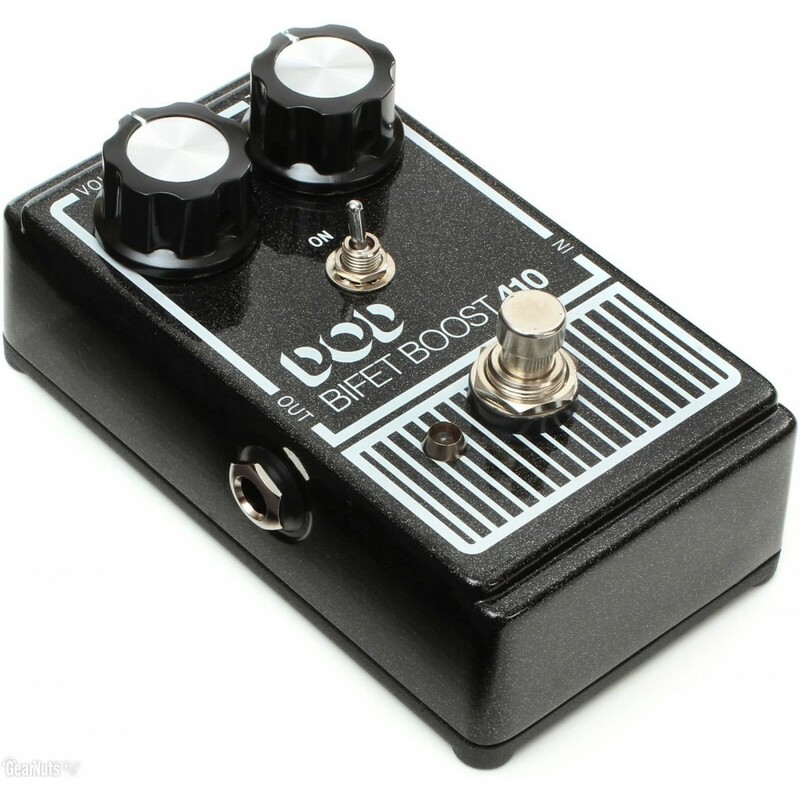 True bypass allows your guitar tone to remain pristine even when the new DOD 410 (2014) is off. 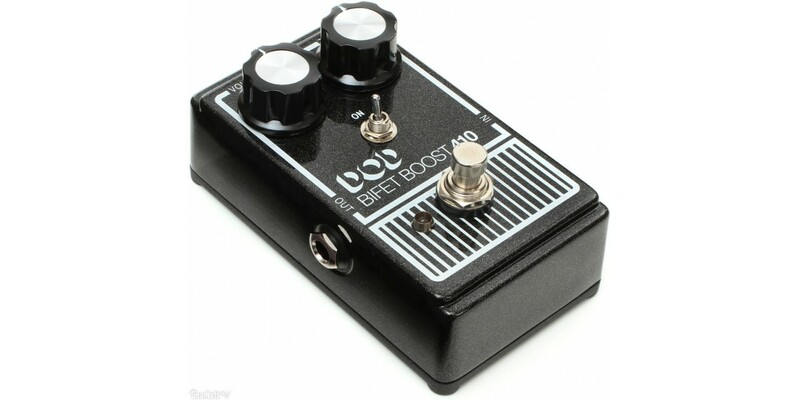 This is a big difference from the original, which would color your bypassed tone. 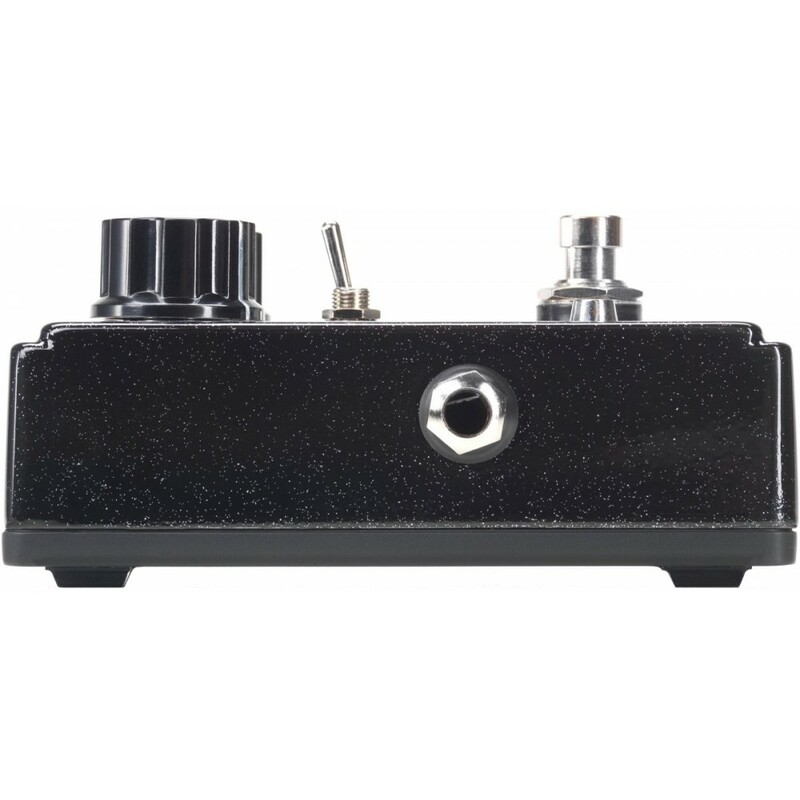 The modern 9V DC power supply input also makes the pedal more pedalboard friendly.